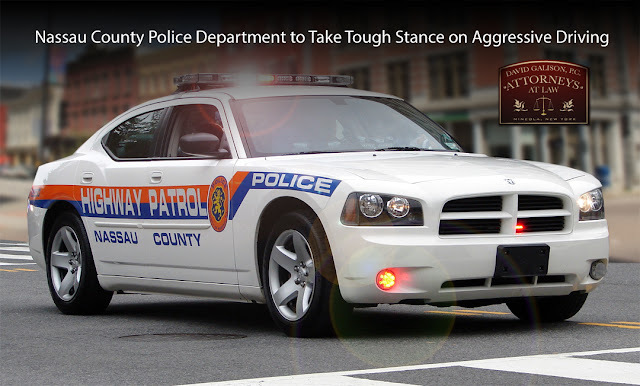 The Nassau County Police Department recently announced it plans to keep crime down this year throughout the county. One focus for the department will be to increase safety on the roadways, especially the well traveled highways. The department has implemented an initiative specifically to decrease aggressive driving. Officers, particularly those assigned to the Highway Patrol Bureau, will be on the look out for motorists who are speeding, using their cell phone while driving or going through red lights. Members of the police department will be writing more tickets this year than in past years in an effort to decrease dangerous driving throughout the county. Although receiving a traffic ticket may seem like a minor offense, it can have long lasting effects on your insurance premiums, your wallet and your privilege to operate a motor vehicle. 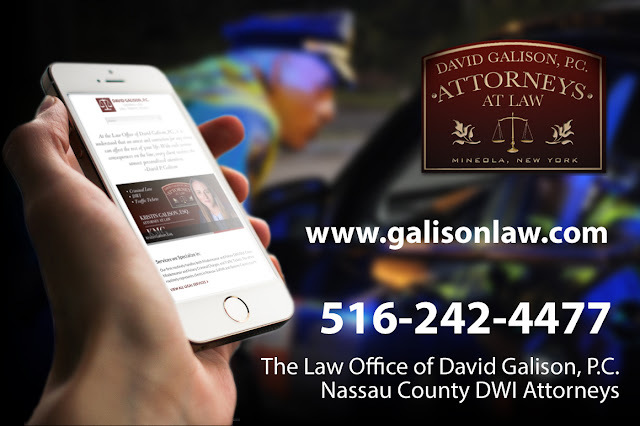 If you receive a ticket for a moving violation or a misdemeanor driving offense, call the Law Office of David Galison, P.C. We have been helping motorists fight traffic tickets for nearly two decades. We routinely appear at the Nassau County Traffic & Parking Violations Agency, as well as Village Courts throughout Long Island. We are familiar with each courts procedures ranging from deadlines for discovery demands to general plea-bargaining guidelines. Effective immediately the Nassau County Traffic & Parking Violations Agency (NCTPVA) located at 16 Cooper Street in Hempstead has changed their policy on Cell Phone and Electronic Device tickets. Under New York State Law a plea of guilty to violating Vehicle and Traffic Law Sections 1225(c) or (d), Using a Cell Phone or Electronic Device While Driving, will result in five (5) points on your New York State driver’s license. As many people are aware points on your license may lead to increased insurance premiums. If you receive six or more points on your license you may also be subject to the Driver Responsibility Assessment Fee imposed by the DMV. In the past the NCTPVA has been very reasonable in plea-bargaining Cell Phone and Electronic Device tickets. Depending on your driving record such tickets have had the possibility of being reduced to three (3) or less point violations. However that plea-bargaining leniency has changed with the Court’s newly announced Distracted Driver Education Program. Under this initiative a motorist must admit to Improper Use of a Cell Phone or Electronic Device and waive their right to appeal. They will then be allowed to plead to Tailgating, a four (4) point violation, and must pay a $283.00 fine. The motorist is then required to purchase and install in their car an approved cell phone control device within 10 days. The device will monitor whether the person operates an electronic device while driving in violation of the law. This device must remain in the motorist’s vehicle for 90 days. On the next court date, the motorist must provide the Court with a print out of the report generated by the device. The Court will then determine whether the motorist has complied with the terms of the agreement. If so, the motorist will be allowed to vacate their plea to Tailgating and instead plea guilty to a no point Parking ticket. If the motorist fails to comply with the conditions of the program then their plea to Tailgating will remain on their driving record. If this program sounds onerous and excessive for a simple traffic ticket it’s because it is. But if you go to the NCTPVA to fight a Cell Phone or Electronic Device ticket it is the only offer that the prosecutor is authorized to make you. However, there is still another way to fight a Cell Phone or Electronic Device ticket at the NCTPVA. Hire an experienced attorney who is familiar with the appropriate discovery demands and motions that can be made on such tickets. The Law Office of David Galison, P.C. specializes in traffic ticket defense. We know the timelines for when discovery requests must be made and when appropriate motions may be filed. We regularly appear at the NCTPVA and frequently have motions to dismiss granted for legal technicalities. CALL US TODAY TO SCHEDULE A FREE CONSULTATION, 516-242-4477. We look forward to speaking with you and fighting your Cell Phone or Electronic Device Ticket, as well as any other tickets you may have received. On February 11, 2016, a Nassau County jury found 28-year-old James Ryan guilty of Manslaughter and Aggravated Criminally Negligent Homicide, among other charges. Ryan allegedly had a blood-alcohol level of 0.13 when he was driving home on the Long Island Expressway almost four years ago and crashed his car. He fled that accident scene only to crash his car again further down the road. Officer Olivieri of the Nassau County Police Department responded to the scene and was killed when the driver of another vehicle hit into him. No criminal charges were brought against that driver. The death of Officer Olivieri is a tragic loss for his family, the police department and the citizens of Nassau County whom he protected. There is no denying that. However I believe that the verdict in the case against James Ryan is wrong. Yes, Ryan was drunk driving on October 18, 2012 and yes, that is a crime. Should he have been found guilty of Driving While Intoxicated? Absolutely. But should he have been found guilty for the death of Officer Olivieri? No. It is my opinion that the death of Officer Olivieri is too far attenuated from Ryan’s drinking and driving to have found him guilty of homicide. The person at fault for the officer’s death is the other driver. The other driver clearly wasn’t paying enough attention while driving on the Long Island Expressway that night because if he had been he should have seen Olivieri’s police vehicle, as well as Ryan’s damaged vehicle before coming up the scene and striking the officer. That’s not to say that his actions make him criminally liable for the officer’s death, but neither do Ryan’s actions. The Nassau County District Attorney’s Office has a history of pushing the limits and setting precedents in DWI cases. They are one of the toughest, if not the toughest county in New York State in their plea bargaining guidelines for DWI cases. The Nassau County District Attorney’s Office was one of the first in the country to successfully convict a DWI driver of murder. The office made national headlines in 2006 in the case against Martin Heidgen when a jury appropriately found Heidgen guilty of two counts of depraved indifference murder after slamming his truck into a limousine and killing a seven year old passenger and the limo driver. While I commend the District Attorney’s Office for taking a hard stance against DWI cases giving its prevalence on Long Island, I think they went too far in the case against James Ryan. This verdict sets a dangerous precedent for future cases. Imagine the following scenario: An officer pulls a motorist over for speeding on the Long Island Expressway. The motorist pulls over to the side of the road but to an area where there is barely a shoulder. As the officer walks towards the pulled over vehicle, another car drives by and strikes the officer. Is that speeding motorist liable for the death of the officer? The verdict in the Ryan case seems to indicate that he would be. Both DWI and Speeding are against the law and in the Ryan case and in my hypothetical an officer was killed as a result of investigating the crime. So where do you draw the line? This recent verdict has the potential to lead to a very slippery slope. I am sure that Ryan will appeal the verdict in his case and I am very interested to see what the outcome will be. 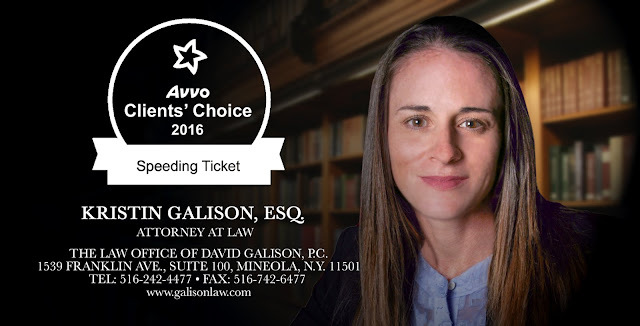 Kristin Galison is a former Nassau County Assistant District Attorney experienced in all aspects of criminal law. Ms. Galison was assigned to several bureaus during her tenure with the office including District Court where she specialized in Driving While Intoxicated (DWI) cases and County Court where she prosecuted both misdemeanor and felony cases. Kristin Galison, Esq. routinely handles both Misdemeanor and Felony DWI/DUI Cases, and Felony Criminal Charges. The office routinely represents clients in Nassau, Suffolk and Queens County courts. Call the Law Offices of David Galion, P.C. at (516) 242-4477 for more information. The new site connects DWI clients, wherever they are, with the latest news and services from Kristin Galison, Esq. at the Law Office of David Galison, P.C. All information is accessible in an easy-to-read format and visually optimized for mobile devices. About the Law Offices of David Galison, P.C. 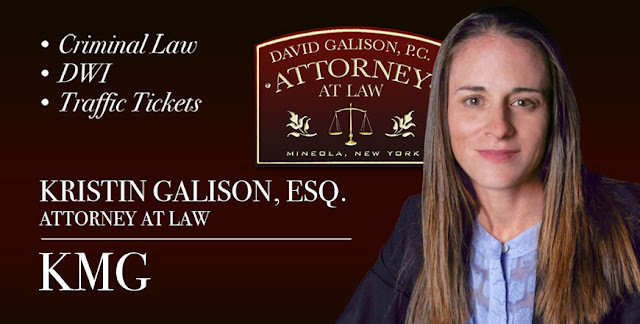 With offices located in Mineola, N.Y., Kristin Galison practices with the law firm of David Galison, P.C. Kristin Galison is a graduate of the State University of New York at Geneseo and the Maurice A. Deane School of Law at Hofstra University. While earning her Juris Doctorate, Ms. Galison participated in the AAJ Student Trial Advocacy Competition and the National Institute for Trial Advocacy Trial Techniques Program. Kristin Galison is a graduate of the State University of New York at Geneseo and the Maurice A. Deane School of Law at Hofstra University. While earning her Juris Doctorate, Ms. Galison participated in the AAJ Student Trial Advocacy Competition and the National Institute for Trial Advocacy Trial Techniques Program. 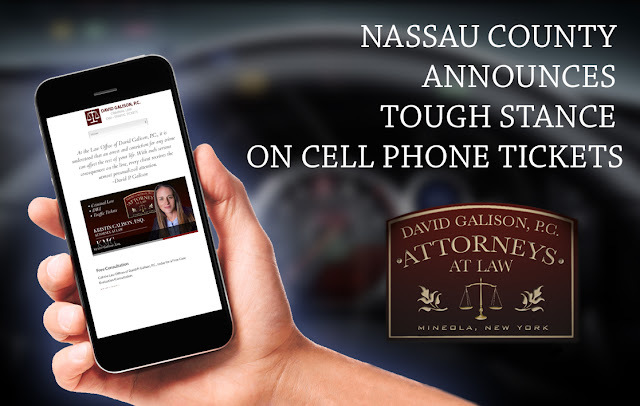 Kristin Galison is a former Nassau County Assistant District Attorney experienced in all aspects of criminal law. Ms. Galison was assigned to several bureaus during her tenure with the office including District Court where she specialized in Driving While Intoxicated (DWI) cases and County Court where she prosecuted both misdemeanor and felony cases. Kristin Galison has handle hundreds of criminal cases and has tried numerous cases to verdict. Kristin Galison is the 2015 recipient of the Nassau County Women’s Bar Association Courage Award. Kristin Galison joined David Galison, P.C. following the passing of her husband, David Galison. 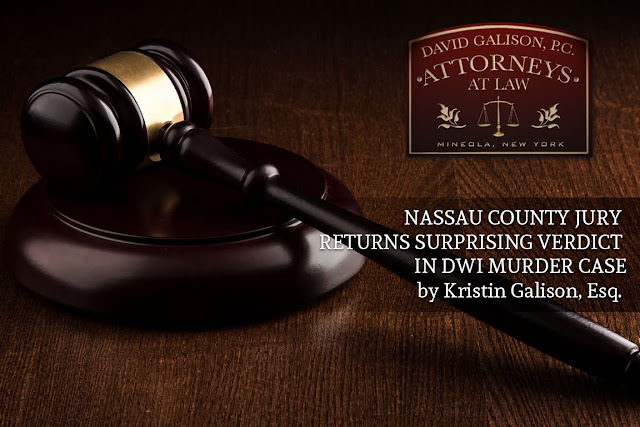 Kristin Galison regularly appears in Nassau and Suffolk County Criminal Courts and Village Courts throughout Long Island. Kristin Galison is licensed to practice law in the State Courts of New York and Massachusetts. As many people may already know School Zone Speeding Ticket Cameras have recently been setup throughout Nassau County. These cameras are in addition to the red light cameras that have been installed over the past several years in both Nassau and Suffolk Counties. While there are no points added to the license of the owner of the vehicle which allegedly went through the red light or sped through the speed zone, the fines generated by these violations are real and add up. As of the time of this writing September 25th, 2014 the fine for a violation of either offense is $50.00 plus a $30.00 Driver Safety Fee for a total of $80.00 per ticket. Often times the owner of the vehicle is not even the driver at the time of the offense was committed, and is unaware the ticket was even issued until several days down the road when a bill comes in the mail. The letter sent by the County or its representative includes a link so that you can view the infraction on your computer and watch the vehicle as it goes through the red light or speed zone. While many assert that these cameras promote safe driving I believe that they are simply money makers that punish the driving public. I believe that often times the cameras can cause accidents by forcing motorists to slam on their brakes at the last minute thereby causing rear end accidents. Below is a list of the School Zone Speeding Ticket cameras that I am aware of in Nassau County. While it is probably easier to just pay the fine on one of these tickets you are always free to dispute the violation and have your day in court. The Law Office of David Galison, P.C., does not fight either Red Light Camera violations or School Zone Speeding Camera Violations. Of course, should you receive a ticket from a police officer for running a red light or for speeding the Law Office of David Galison, P.C., will be happy to assist you in fighting the tickets in order to keep your department of motor vehicle points down, in addition to keeping your drivers auto insurance policy premiums down.